This is my last message to you as MoTAS President. Four years ago, I began the process that led me here by saying “yes” when I was asked to be a Vice-President of MoTAS. Since then, I’ve gotten to know the men of MoTAS very well, and have discovered their depth of devotion to MoTAS and the congregation as a whole. 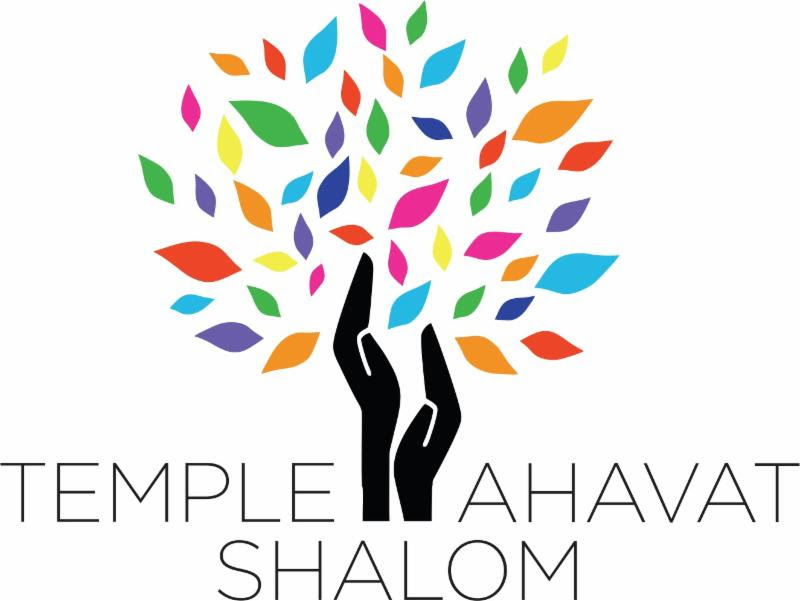 I’ve gotten to know our congregational leaders better, and have come to see how they devote a large amount of time to making Temple Ahavat Shalom the best family it can be. As with any family, mistakes will happen (I’ve made my share), but we work through them because we are a family and because we value that family. So why did I volunteer? To put it another way, why should you volunteer? There are a number of reasons, beyond the trite but true “service is its own reward.” First, if I want to effect change, I must be that agent of change. Second, becoming active is a wonderful way to get to know congregational members in a way that goes beyond religious school interactions. Lastly, it was a way to challenge myself. I’m a cybersecurity specialist, not comfortable around people. Being President forced me to learn new skills — marketing, selling, promotion. It also taught me that others may have more sage advice than I, and I can learn from everyone. I will treasure my years as MoTAS President for as long as I live. It is now Frank Soronow’s turn to take the reins, and lead MoTAS to new heights. I have every confidence that he will do a great job; as I’ve gotten to know him, I’ve learned he is a real mensch — a good person with a good soul. It is also your turn to get involved. Start by coming to a single meeting, participating in a single activity, saying “yes” when asked to get involved. You’ll find that it will cement your bond to the congregation in unimaginable and incredible ways. Thank you for letting me lead you. Have you ever wondered how MoTAS does everything that it does? How we can take the initiative and repair and upgrade the Social Hall kitchen? How we can fund scholarships for your children to go to camp and on L’Taken? How we can support the Caring Community, outreach to Alumni, and support special activities of the Religious School? How we can acquire, serve, and cook food at the Purim Carnival and Shabbabaques? How we can support TAS Social Action partners and MRJ outreach to Jews on college campuses? How we can, every year, make a significant contribution to the TAS General Operating fund? The answer is simple. You make it happen. You make it happen every time you volunteer at a MoTAS event. You make it happen every time you bring a foursome to the MoTAS Golf Tournament or bid in our silent auction. You make it happen every time you sponsor or underwrite a MoTAS activity. You make it happen every time you donate to MoTAS and support our annual appeal. You make it happen when you buy a sports squares or contribute to the Kitchen Challenge. You make it happen by participating. Right now, you have the opportunity to continue to make it happen. MoTAS has no dues — we depend on those who see value in MoTAS to contribute to our Annual Appeal, which is running from the MoTAS Shabbat in January until the end of April. Also during this time, MoTAS is running the Kitchen Challenge, where you can help MoTAS bring to Social Hall kitchen to the same level of excellence as the Social Hall. Contribute to both at http://support.tasnorthridge-motas.org/ . March also brings the NCAA Championships, and with that, Basketball Squares. Get your square today at http://squares.tasnorthridge-motas.org/ . Remember that we depend on you to make it happen. In my d’var torah at the MoTAS Shabbat, I talked about leadership, and encouraged the men in our congregation to be leaders. You have that opportunity right now. Be a leader for MoTAS by supporting our Annual Appeal. MoTAS has done away with formal dues and membership; instead, we depend on the men of the congregation to support MoTAS with a contribution that reflects the value of the relationship that MoTAS brings to them, the congregation, and the community at large. Together in Brotherhood, we can do remarkable things with your support. You can find both online and printable donation forms at http://support.tasnorthridge-motas.org/ . While you’re there, please consider showing leadership again by donating to our Kitchen Challenge. At the June Shabbabaque, MoTAS uncovered problems with the refrigeration and cooling in the kitchen. Our social hall has become a gem and an asset; let’s keep it that way with a working kitchen. MoTAS challenges you to contribute to repairing our kitchen with a matching grant of $1,500 — we will match the first $1,500 raised in the kitchen challenge. [Additionally, an anonymous MoTAS member has set up a matching match, and the Temple itself has set up another matching match — meaning each of the first $1,500 raised brings in 3 additional dollars!] The cost is high: estimates of $4,500 for the cooling, $3,200 for the refrigerators, and $4,100 for the freezer. Anything you donate will help us help TAS improve the kitchen. As with the Annual Appeal, online and printable donation forms are at http://support.tasnorthridge-motas.org/ . For either the Annual Appeal or the Kitchen Challenge, donations of $100 or more will be acknowledged on our Wall of Honor. We thank you in advance for your support. Last night, I went to the final Shabbat service at Temple Beth Torah; they are in the process of closing up operations. During the dinner and subsequent service, I reconnected with congregation members I had built close relationships with during my years there in the early 2000s. I ruminated on my adage that I’m a part of every congregation I’ve ever been at. I built up friendships at TBT, and I’ve offered to be an ambassador of any TBT member to TAS (if they wish to explore our congregation). I look at the Temple Beth Hillel Brotherhood, and the friendships and bonds I built there. As I walked into that last service, I picked up a Gates of Prayer. It was dedicated on the occasion of Jay Sculler’s Bar Mitzvah by his parents. It made me think about the friendships I’ve made at TAS, for it is because of TAS and MoTAS I got to know the Scullers. I thought of the bonds built between the men in MoTAS, between MoTAS and Sisterhood (it was a joint MoTAS/Sisterhood activity that bound me to the Scullers), and between everyone in the congregation. Building that bond is necessary if an organization or a congregation is to survive. However, it can be difficult in a congregation as large as TAS. There are, however, answers. MoTAS and Sisterhood. We are organizations that allow you to build that bond in a group of a more manageable size. Through MoTAS and Sisterhood, you build friendships for life. Through service and fellowship, the connections between people become almost unbreakable. I invite you to join us in celebrating those bonds at the MoTAS Shabbat on Friday, January 29th. Whew. What a year it has been so far. We were overwhelmed at the August Shabbabaque, and found out where our fronds really were when we had to scramble to find them to build the Sukkah. We came together for a wonderful golf tournament, and have had great hangouts, breakfasts, and speakers. It has been incredibly busy, and I’m just about fried. I’m sure you are as well. One of the metaphors of Chanukah is oil, and we traditionally eat fried foods. I’m sure we’re all familiar of why oil is a central theme of Chanukah. I’d like to address being fried, and how to endure and stay strong even when you’re getting dipped into that hot oil. The answer is simple: Friends. Friends who recognize when you’re overloaded and just step in to help out, and who pull you out of the fried before you’re burnt to a crisp. Where do you find those friends? I’m sure you know my answer: in the Temple auxiliaries: Sisterhood and MoTAS. By being involved with MoTAS, you will make friends for life — friends who are there for you just as they are there for TAS. This friendship crosses political and spiritual divides. It also deepens your connection to TAS as a whole, for those friends bring you into larger and larger circles, until the whole congregation becomes a supporting insulating layer to keep your temperature from rising, resulting in a meltdown. As we end the calendar year with all the December craziness, remember that MoTAS is here for you. We hope to see you, and get to know you, at a future MoTAS event. Why Get Involved with MoTAS? At our September meeting, I asked the members present why they got involved with the Men of TAS. A fair number got involved for the service component — being in MoTAS provides and easy and fun way to do service and support the TAS Community. We cook, we build, we clean, we provide support (both physical and financial). Contributions of both time and funds come back to the congregation, and a lesser extent, the membership. However, service wasn’t the primary reason that most people got involved and stay involved. It was the people — the men — of MoTAS. MoTAS provides a group of reasonable size that permits you to get to know others in the congregation. Unlike the cohort of parents in the Religious School who are bound together by their children, the Men of TAS come together because we like each other. Yes, we have a speaker at our meeting. The bulk of the meeting, however, is seeing our friends. If you are a man in the congregation — whatever age — we invite you to come to a meeting. Get to know the men who are active in the congregation, across all age ranges. We count on you for the continuity of MoTAS. Our Annual Appeal (link). This occurs in January, and we’re very pleased at all of you who responded. Even without formal dues, the men of TAS show they value what we do. The Golf Tournament (link). The bulk of our support comes from the Golf Tournament. There are many ways for you to support the Golf Tournament, from playing or recruiting players, sponsoring or recruiting sponsors, buying or soliciting ads for the TAS Calendar/Golf program, or getting donations. The Golf Tournament is a wonderful way to bring in support from friends, colleagues, co-workers, and the community. Sports Squares (link). The sports squares program is an easy way to fund specific activities of the congregation that might not normally get funded. Underwriting Events. Something we haven’t done before — but are seriously considering — is soliciting event sponsors for our “breakeven” activites. Underwriting an event — be it a monthly breakfast, the Pancake Breakfast, a special activities — relieves the cost of that activity and permits any income raised to support MoTAS. Contact the MoTAS President if you would be interested in sponsoring an activity. Thank you in advance for your support of MoTAS, be it in one (or more) of the ways above, or simply by showing up at an activity or volunteering to help MoTAS. During the month of August, the MoTAS Leadership will be putting in place the speakers program for 2015-2016. If you are not familiar with our speakers program, this is what is otherwise known as the “MoTAS Monthly Meeting.” In addition to our wonderful breakfast prepared and procured by Steve Zonis, Scott Yollis, Mike Thornhill, and Bob Levine, we usually have a speaker of broad interest. Topics have ranged from temple operations to composting, from the Jewish history of Los Angeles to the probation system. If you haven’t attended our meeting to hear a speaker, you should give it a try. Anyone who is a member of MoTAS (and that means every man in the congregation) is welcome to attend; we often have non-members join us for the speaker as well. Our speaker meetings are typically the second Sunday of the month (unless shifted due to a conflict — thus our first meeting is Sunday September 20 due to Rosh Hashanah). Breakfast is at 8:45am followed by a review of upcoming activities; our speaker starts between 9:45am and 10:00am. Now that you know what the speakers program is, you can help us plan it. If you have any suggestions for topics you would like to have discussed, or have specific speakers you think we should approach, please let us know. Drop a note to president@tasnorthridge-motas.org, or comment on this article. In order for the program to be interesting to all the men of TAS, we really need to know what interests all the men (and not just the leadership). Watch the MoTAS Weekly, which is also posted to MoTAS Website at www.tasnorthridge-motas.org, for information on our September speaker. The website will also give the full schedule when it is available. We look forward to seeing you at a speakers meeting.